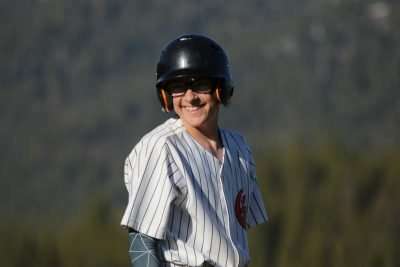 Dawson Reed flashes a smile to the crowd after rounding third base. Greenville boys are racking up win after win on the field, at home and away. 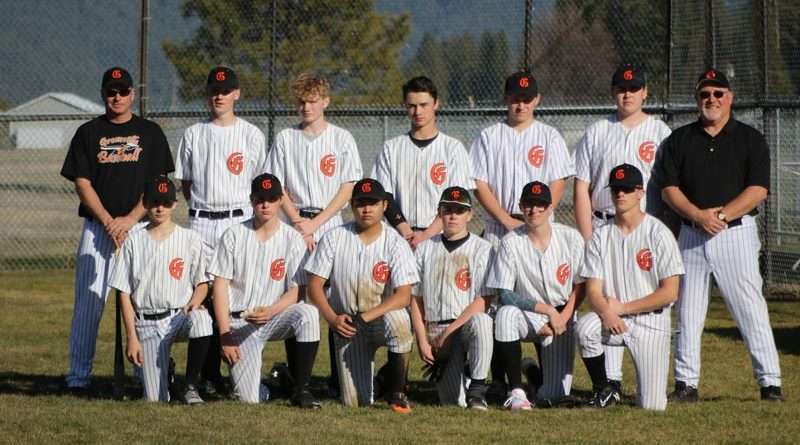 The last series of wins are the result of a doubleheader with the Loyalton Grizzlies on March 22. In the six-inning first game, with pitching from seniors Tristin Clark and Kolby Elzea, the Indians wound up with enough steam to top their competition in a close game, 9-7. 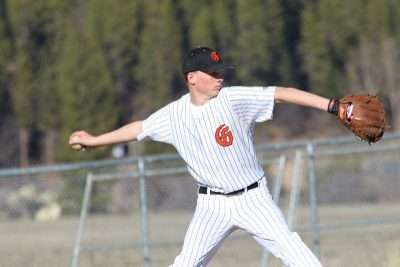 Clark pitched four innings facing 21 batters, striking out six. Elzea pitched to nine batters in two innings and struck out two. Pitchers Clark and Elzea both got the better of the Loyalton pitcher by stealing two bases each. From the bat, three Indians scored a pair of runs each: Garrett Miille, Trevor Barr and Elzea. Clark, Harlan Savala and Dawson Reed all helped to win by scoring for GHS. Colton Lawson hit a triple and Miille, Savala and Nick Hampton all hit doubles. Miille managed three RBIs and Wade Neer, Savala, Barr and Hampton all hit an RBI as well. In game two facing Loyalton, the Indians won 8-4 keeping a safer distance from the dangerous Grizzlies. Tristin Clark had a great game scoring three runs for GHS. Garret Miille, Colton Lawson, Trevor Barr, Kolby Elzea and Nick Hampton all helped win by crossing home plate to score. Barr hit three RBIs, Hampton two and Clark and Westin Lawson each hit one. The Indians took their bases the hard way with the bat, one base at a time except one double from Trevor Barr. Only Tristin Clark felt bold enough to steal bases, so he took three! Pitching for Greenville came from Trevor Barr and Nick Hampton. 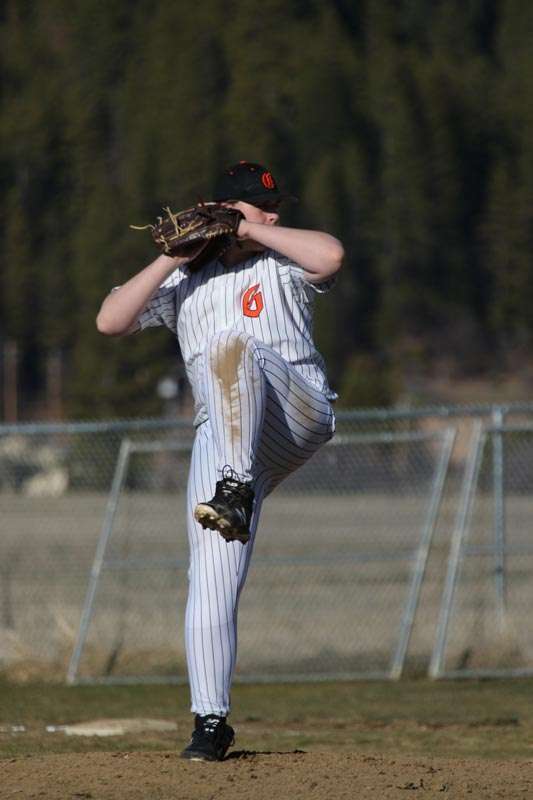 Barr struck out three batters in three innings and Hampton struck out four in two innings. With rain wreaking havoc on the baseball schedule, the team and coaches work hard to get the field dry enough to play on for home games, but if it’s raining at game time, there is not much anyone can do. A game is planned at GHS for this Friday, April 5, with Happy Camp, but with rain still in the forecast it isn’t much of a gamble that the game will be cancelled. Fans can keep the schedule handy for when the sun comes out. There should be plenty of opportunities to see Indian baseball continue winning with games to play all the way into early May. 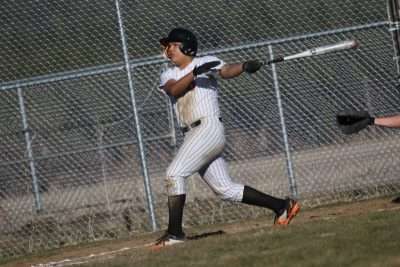 Harlan Savala knocks one out of the infield March 16 playing Big Valley. 4/5 Happy Camp 1 p.m.
4/29 ACA Anderson 2 p.m.
Pitcher Tristin Clark is one the three seasoned seniors on the Greenville team. Trevor Barr fires one over home plate. 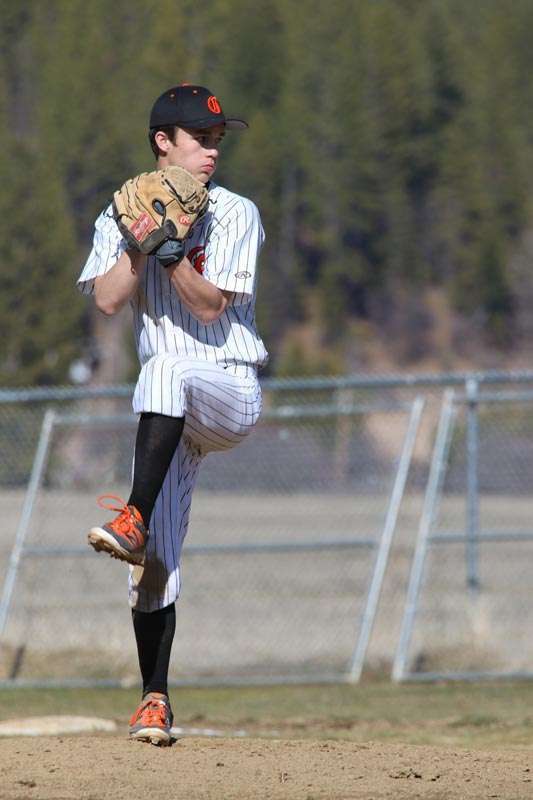 Nick Hampton winds up on the mound.